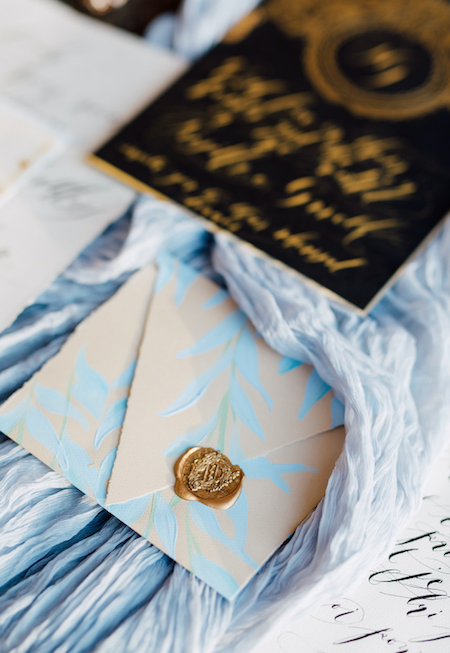 Painted Envelopes for wedding stationery and branding items have certainly evolved and come a long way. 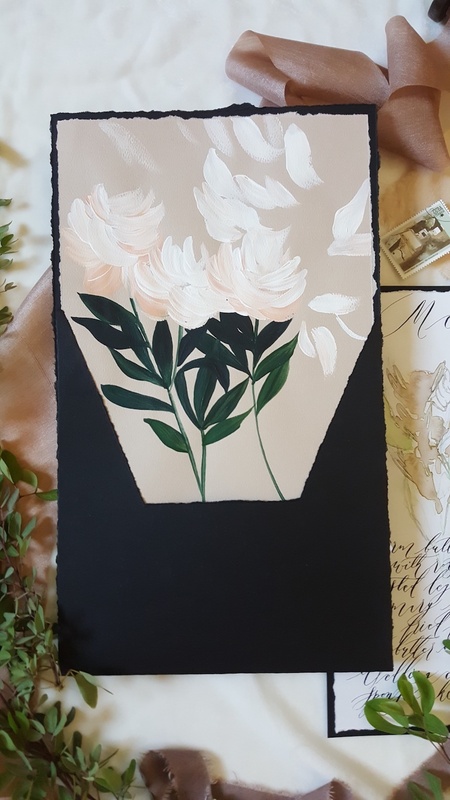 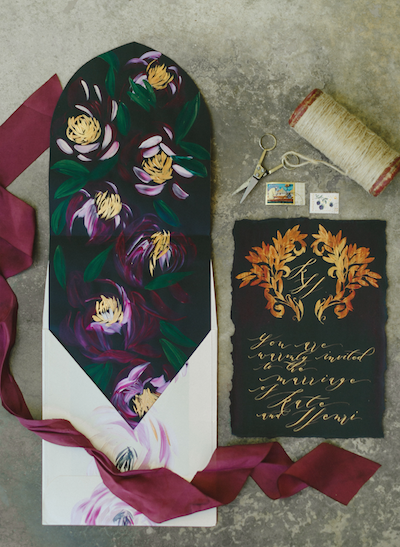 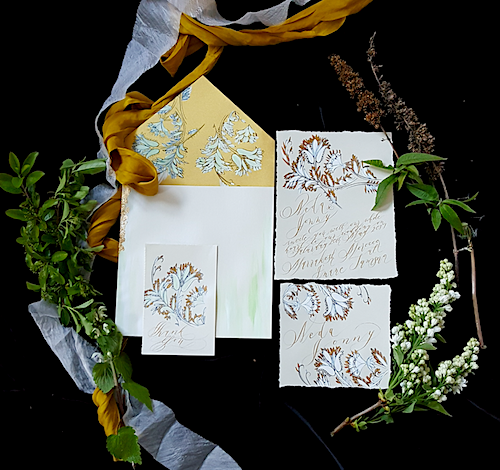 All our collections come with exclusively designed painted liners and are hand crafted to a high standard, inspired by your direction and approval, to compliment your wedding invitations or bespoke projects. 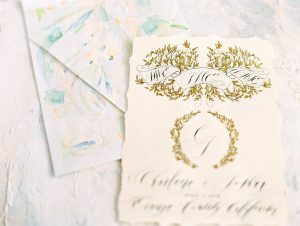 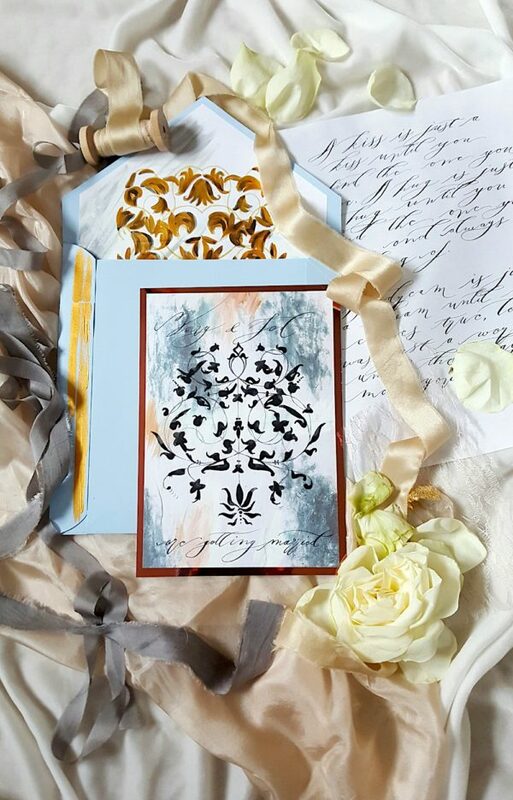 Designs range from abstract watercolour backgrounds to pattern repeats, thick acrylic hand painted ( see the blue leaves painted envelope in the image below) strokes, gold foil, to calligraphy designs. 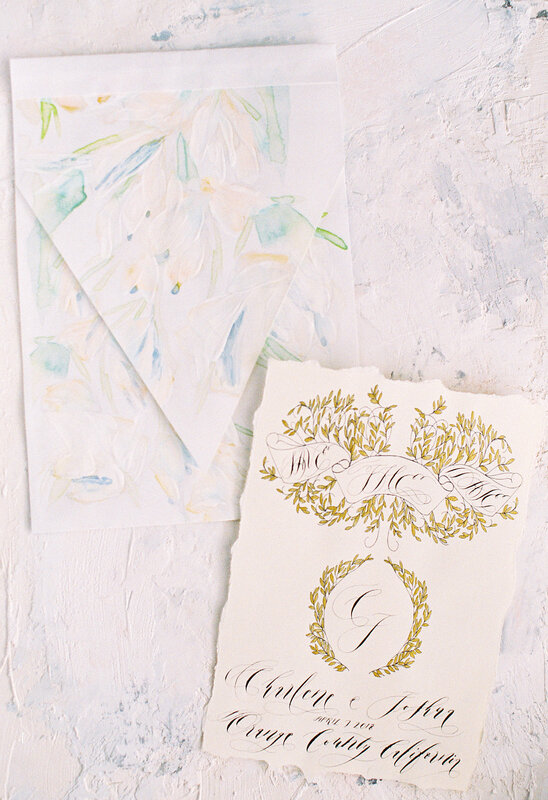 Scroll down for the full gallery. 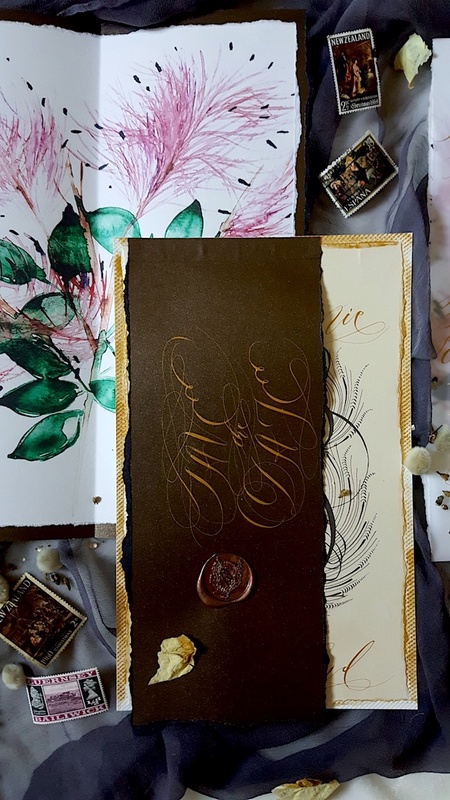 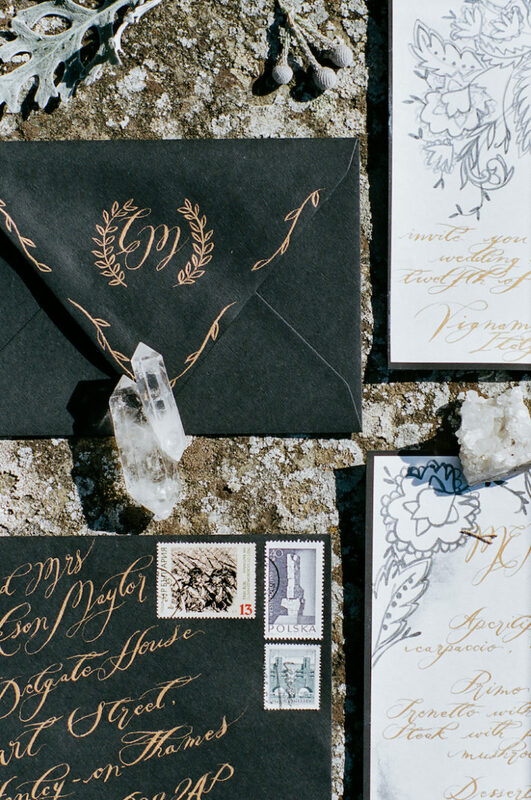 Your painted envelopes can be created from a variety of luxury paper weights, from light transparent vellum, medium and light paper weights as well as heavier card. 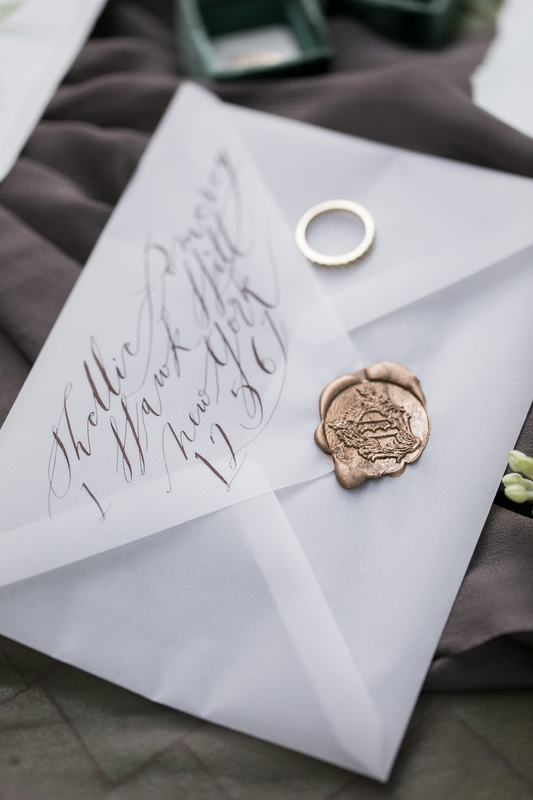 Envelopes have the option of the added touch of calligraphy, with couples monograms, a calligraphy statement or a specially painted detail mounted on gold or copper foil card. 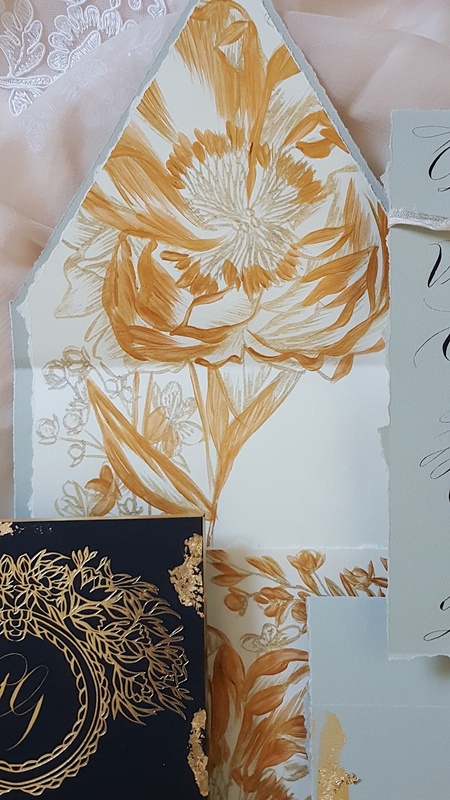 Larger bespoke envelope designs to hold all of your stationery, to deliver your wedding suite in style, are available upon request.